We need to recover a taste for fasting. Here are ten key points about the ancient practice to help inform the cautious believer. Jesus set an example, when he went into the desert and fasted for forty days and forty nights. Jesus assumed it would be a practice of his followers: “And when you pray…” (Matt 6:5), “When you fast…” (Matt 6:16). He also taught about the outward appearance and comportment of the fasting believer (Matt 6:16). The early Church practiced fasting. Paul did not eat or drink for three days after his conversion on the road to Damascus (Acts 9:9). The Church in Antioch was praying and fasting when the Holy Spirit spoke to them (Acts 13:2), and Paul and Barnabas only appointed elders with prayer and fasting. Fasting strengthens our attention to the spiritual. We cannot really be spiritual persons if we are constantly gratifying the senses and physical appetites. Fasting focuses and enhances our “interior senses”. Fasting strengthens our will. It reinforces our control over our appetites, not the other way around. Such self-mastery will extend to other areas of our lives as well. Fasting has a particular, special power. When the disciples come to the Lord confused as to why they could not cast out certain spirits, Jesus told them “This kind cannot be driven out by anything but prayer and fasting” (Mark 9:29). Pope Francis may have had this "extra power" in mind when he called for a day of prayer and fasting for Syria. Fasting is good for the health. We eat too much in our society – gazillions more calories than the body needs. Regular fasting helps to moderate this. Fasting may also lead to healthy weight loss, detoxification, and even longevity. At the same time, dieting should not be confused with fasting in the religious sense. Dieting restores levels to what they should be; fasting is giving up, temporarily, what is normal. Christians, like our Jewish brethren, also fast out of atonement. It’s our privilege to participate in the mitigation of the effects of sin. We just mustn’t do so with long faces! 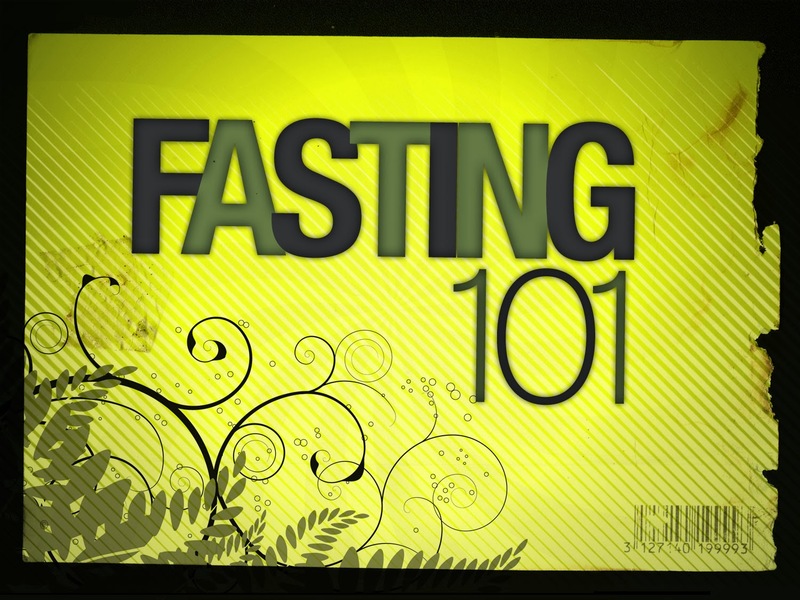 In this sense, fasting can include abstaining from TV, radio and Internet (a media fast). Or anything else. All the major religions recognize the value of fasting. Islam is noted for their month-long observance of Ramadan. Hindus also fast on certain days of the week, especially Tuesdays and Thursdays. Buddhists fast during times of intensive meditation, such as retreats, and their monks and nuns usually do not eat after midday. Observant Jews fast six days of the year, abstaining from food and drink. Fasting is still required in the Catholic Church. Although the requirements have been scaled back, the 1983 Code of Canon Law specifies that Fridays throughout the year, as well as the season of Lent, are penitential times for the whole Church. Fasting generally means eating only one full meal, plus two smaller snacks on the given day. Adults aged 14-60 years old are required to fast on Ash Wednesday and Good Friday and to abstain from meat on all Fridays. National Bishops’ Conferences can adjust this if desired, and some have. In the U.S. and Canada, for example, fasting and abstinence is reduced to Ash Wednesday, Good Friday and the Fridays in Lent. Documents promoted acts of piety, acts of charity, prayer and good works as a legitimate substitution to fasting. Many Catholics may have abandoned the practice of fasting at that point. Why talk about fasting now? Because it’s not just something we might think about only a few times a year, “a Lent thing”. It’s something to be encouraged as a regular practice in our lives. Too many Catholics don’t even bother with the one-hour fast before Mass – the ultimate triumph of consumer culture! Let’s not let this time-honoured treasure get lost in the mire of laissez-faire religious practice. Let’s rediscover the strength and power that fasting gives us.